Our hampers are unique and as always we put them together in our own style. These Hampers are not just for Christmas but for any special occasion all year round! Please give us your order in advance to allow us time to make your hamper, gift voucher or gift wrapped object look extra special. Larger or smaller baskets take time to prepare – or you could always enjoy a coffee or meal while you wait! Select anything from our range of products in the shop! For advice just ask one of our assistants. Any larger or smaller hampers requested will be priced accordingly. 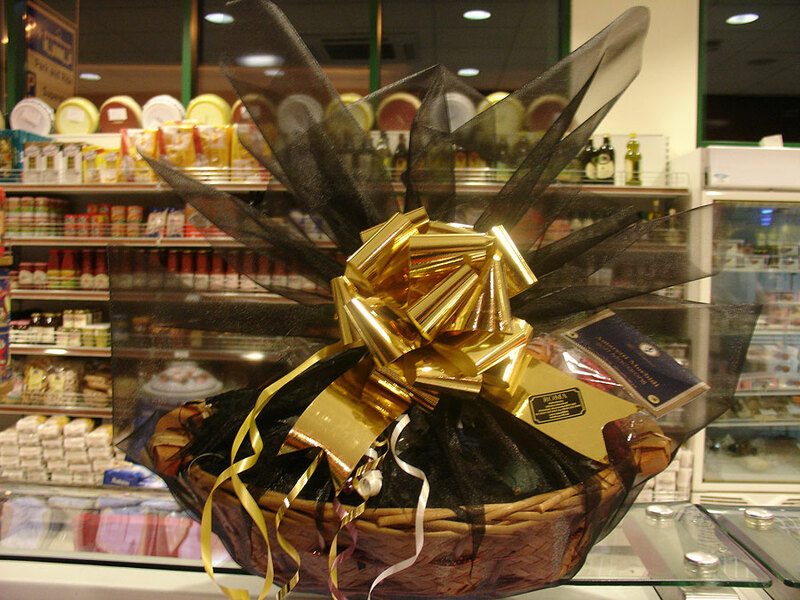 For Gift Wrapping select anything from our wide range of Italian products. Bottles of wine, Panettone, Torrone or anything you know your loved one will enjoy! The product will be priced accordingly. For example to gift wrap one of our bottles of wine £3 will be added to the product price. For our larger Panettones it is £6 extra.